Investigative journalism has helped bring down governments, imprison politicians, trigger legislation, reveal miscarriages of justice and shame corporations. Even today, when much of the media colludes with power and when viciousness and sensationalism are staples of formerly high-minded media, investigative journalists can stand up for the powerless, the exploited, the truth. Investigative Journalism provides an unrivalled introduction to this vital part of our social life: its origins, the men and women who established its norms and its achievements in the last decades. 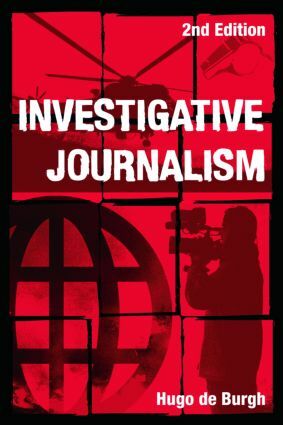 Two chapters describe the relationships with the law, bringing us up to date, and others deal with the professional techniques, the sociology and the teaching of investigative journalism. A further new chapter examines the influence of the blogosphere on investigative journalism. The case studies of the first edition have been supplemented by new chapters: the investigators and methods which revealed the subcontracting of the torture of Iraqi prisoners; how the murder of Stephen Lawrence was treated in the Daily Mail; the tabloids and their investigations; BBC Panorama.